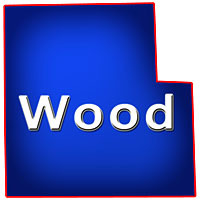 Wood County is located in Central Wisconsin between Neillsville and Stevens Point in the central part of the state with the Wisconsin River winding through it. Wood is known for its hunting, fishing, ATVing, snowmobiling, wildlife, bird watching, timber, parks, farms, golfing, cranberries, shopping, biking, hiking, boating which also has Wildwood Park Zoo, Power Bluff, North Wood County Park, South Wood County Park, Nepco Lake County Park, Sand Hill State Wildlife Area, Lake Dexter, Biron Flowage plus a couple communities including; Marshfield, Arpin, Vesper, Auburndale, Milladore, Rudolph, Lake Wazeecha, Port Edwards, Nekoosa, Babcock and Wisconsin Rapids. It's surrounded by 6 other Counties; Marathon, Portage, Adams, Juneau, Jackson and Clark. On this site you can search for Hobby Farmettes, Fish Farms, Tillable, Dairy Farms, Sustainable Agriculture, Ag Land for Sale, Small Farm Acreage, Cropland, Barns, Ranches for Rent, Horse Pasture, Organic Farming and more located in this county listed by a real estate agents. More information on Central Wisconsin.